Newly formed brand and representation business, Evolution Travel Collective (ETC), has just announced the first partners that it will represent in the Australian and New Zealand markets from December 01st 2018. 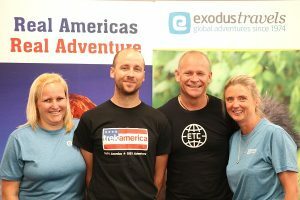 Three globally renowned brands, Exodus, TrekAmerica and Grand American Adventures (GAA), have all joined ETC in what is seen as a significant vote of confidence in the recently formed representation business. “We are absolutely thrilled that these market leading brands within their sector have joined us in our commitment to innovate and grow this space” said ETC CEO and founder, Pete Rawley. 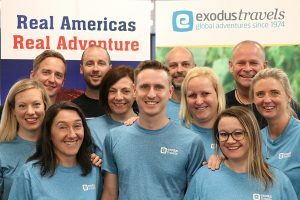 With over 500 itineraries, 100+ countries and all 7 continents covered in the expansive range, combined with its 44-year history, the UK’s most iconic Small Group Adventure brand is ready to push into the local market in a big way. “Our past 20 years in the Australian and New Zealand market has seen us go down the path of GSA agreements and be represented under their local brands. 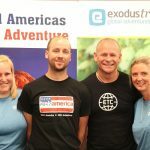 The big shift for us moving forward is showcasing the Exodus brand and leveraging off a celebrated and successful brand history in a way this market has not previously seen” – Day said. Trek and GAA offer over 120+ itineraries to all 50 states, including Alaska & Hawaii, Canada and Latin America. This combined with the ability to leverage 40+ years of experience, sees them truly own the mantle of ‘the specialist’ within these destinations. Regional Sales & Marketing Manager, Joseph Wynes said that “the opportunity to bring the brands to the forefront of agents’ minds is a really exciting element of this new partnership” and highlighted their “expertise and expansive product range, offering of over 120 itineraries that we have built over a 40-year history”. Any PR Enquiries should be directed to our team on info@evolutiontc.com.au. Reservations should now all be directed to their local teams as per below.